New books at Steele–place your hold today! 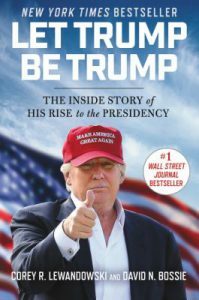 New books at Steele–place your hold today! Here are just a few of our new Nonfiction selections at the Steele Memorial Library. Memoirs from Joan Didion and richard Ford, a new 5 Love Languages for singles, and books about Meditation, Hillary Clinton, and Donald Trump. Two excerpts from never-before-seen notebooks offer insights into the author’s literary mind and process and includes notes on her Sacramento upbringing, her life in the Gulf states, her views on prominent locals and her experiences during a formative “Rolling Stone” assignment. 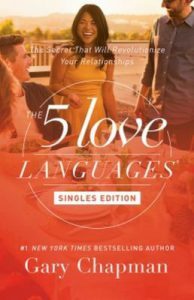 “Whether you want to be closer to your parents, reach out more to your friends, or give dating another try, The 5 Love Languages®: Singles Edition will give you the confidence you need to connect with others in a meaningful way.”–Amazon.com “Nothing has more potential for enhancing one’s sense of well-being than effectively loving and being loved. This book is designed to help you do both of these things effectively.” -Gary Chapman. More than forty years ago, two friends and collaborators at Harvard, Daniel Goleman and Richard Davidson were unusual in arguing for the benefits of meditation. Now, as mindfulness and other brands of meditation become ever more popular, promising to fix everything from our weight to our relationship to our professional career, these two bestselling authors sweep away the misconceptions around these practices and show how smart practice can change our personal traits and even our genome for the better. Drawing on cutting-edge research, Goleman and Davidson expertly reveal what we can learn from a one-of-a-kind data pool that includes world-class meditators. 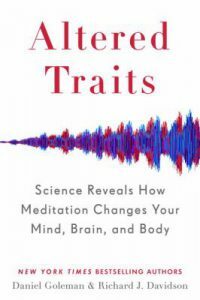 They share for the first time remarkable findings that show how meditation – without drugs or high expense – can cultivate qualities such as selflessness, equanimity, love and compassion, and redesign our neural circuitry. Demonstrating two master thinkers at work, The Science of Meditation explains precisely how mind training benefits us. More than daily doses or sheer hours, we need smart practice, including crucial ingredients such as targeted feedback from a master teacher and a more spacious worldview. Gripping in its storytelling and based on a lifetime of thought and action, this is one of those rare books that has the power to change us at the deepest level. 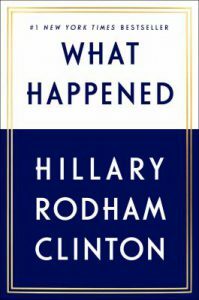 The former secretary of state relates her experiences as the first woman candidate nominated for president by a major party, discussing the sexism, criticism, and double standards she had to confront, and how she coped with a devastating loss. Two of Trump’s closest campaign advisors present an eyewitness account of the stories behind the headlines. From the Access Hollywood recording and the Clinton accusers, to Paul Manafort, to the last-moment comeback and victory, they pull back the curtain on a drama that has mesmerized the whole world — including the palace intrigues of the Mooch, Spicer, Priebus, Bannon, and more. 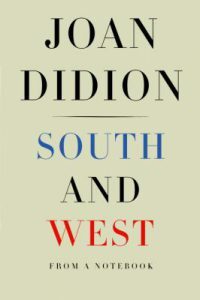 A stirring narrative of memory and parental love, Richard Ford tells of his mother, Edna, a feisty Catholic girl with a difficult past, and his father, Parker, a sweet-natured soft-spoken traveling salesman, both born at the turn of the twentieth century in rural Arkansas. 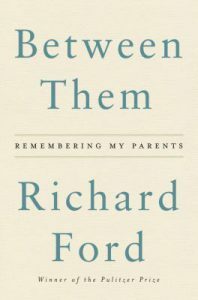 For Ford, the questions of what his parents dreamed of and how they loved each other and him became a striking portrait of American life in the mid-century. With his celebrated candor, wit, and intelligence, the award-winning storyteller and creator of the iconic Frank Bascombe delivers an unforgettable exploration of memory, intimacy, and love. This entry was posted in New Non-Fiction by Maggie Young. Bookmark the permalink.